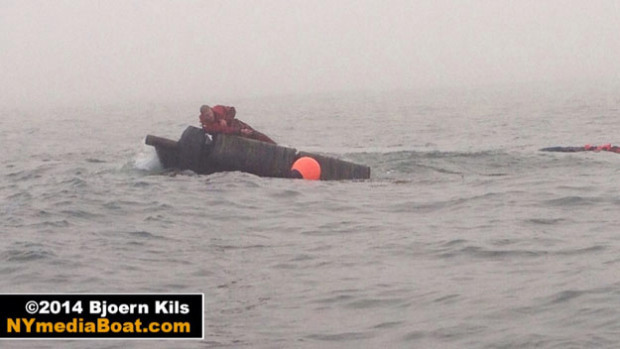 The 38 foot long tugboat Sea Lion sank off Atlantic Beach, Long Island, New York. The Sea Lion became swamped when it encountered six foot waves over its bow. The Sea Lion was able to send out a mayday call, but the four crew on board were forced to quickly abandon ship and jump into the sea. The Coast Guard along with other nearby vessels came to the crew’s aid. Two crew were pulled from the water by the Coast Guard while the other two were rescued by a nearby vessel. One crewman from the Sea Lion suffered serious injuries. No reports of pollution released. The Sea Lion was crossing New York Harbour at the time of the sinking.